Especially Lizzy Kingham. But this year, she is feeling unloved and underappreciated by her family. The present-buying, decorating and food shopping have all been left to her. So she wonders ... what would happen if she ran away and left them to it? Lizzy heads to her favourite place: a beach hut on the golden sands of Everdene. There she meets an unlikely collection of new friends, all running away from something. But the spirit of Christmas gets under Lizzy's skin: soon the fairy lights are twinkling and the scent of mulled wine mingles with the sea air. Back at Pepperpot Cottage, her family are desperate to find her. For Christmas isn't Christmas without Lizzy. Can they track her down in time and convince her she means the world to them, every day of the year? The brand new novel from the Sunday Times top-ten bestselling author of A Family Recipe and The Beach Hut. Bursting with love, hope, forgiveness - and plenty of Christmas cheer! 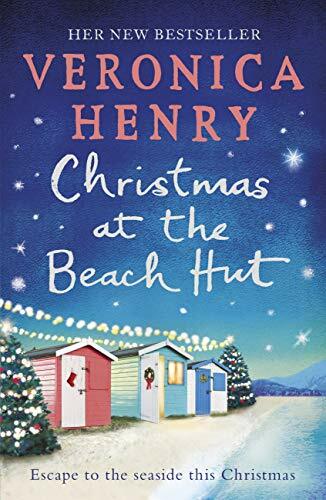 Review: How lovely to be transported back to the little seaside town of Everdene with its line of beach huts along the top of the sand. 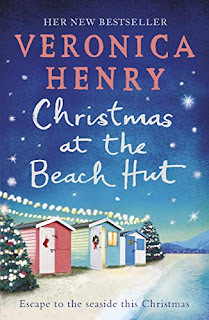 Fans of Veronica Henry will undoubtedly, like me, be familiar with the setting after reading her earlier novels, The Beach Hut and The Beach Hut Next Door. Being an ardent reader of Veronica's books and a lover of Christmas stories, this one was always a must read for me. Even so, I was not prepared with the way in which this festive tale pulled me in and had me lost to the real world from start to finish, a journey of just a few hours, with a few tears along the way. The story centres on Lizzy Kingham, a busy mother of twin teenagers who loves the hustle and bustle of Christmas and making it perfect for everyone every year. This year is different though, she seems weighed down by a series of events and suddenly feels fed up with being what she sees as taken for granted and put upon by her family. Very much out of character, she leaves them all to it and heads off to Everdene and the beach hut owned by her friend where they spent a glorious summer in their late teens. However, the peaceful and restful solitary Christmas she expects there turns out to be a little different from her imaginings as she meets up with some others also escaping from their lives for various reasons. I have already read quite a few festive stories this year, but I think this has to be my favourite so far. I found this a really compelling story that was at once heartwarming and heart-rending. Many busy mums will identify with Lizzy and her feelings of being under appreciated. As Lizzy and her family found in the story, many women could understand the desire to run away from the situation. The other people she meets at the beach are also in situations that readers can recognise. That's what makes this such a good read - all the characters and their situations are believable. Of course, the beach huts sound absolutely gorgeous, equipped as they are with all mod cons; definitely not a bad place to spend Christmas, or any other time of the year come to that. Needless to say, I would recommend this 5 star read to all. It would certainly make a great addition to a Christmas stocking.